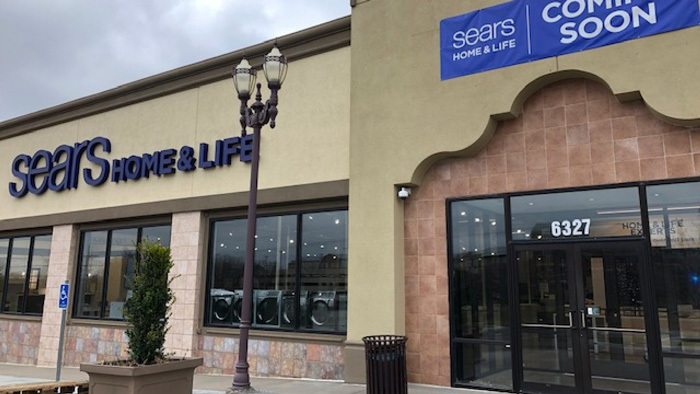 Hoffman Estates, Ill. — Sears plans to open three new smaller format Home & Life stores in May. Located in Anchorage, Alaska; Lafayette, La. ; and Overland Park, Kan. (pictured), the new Home & Life stores will offer appliances, mattresses, home services and connected home products. 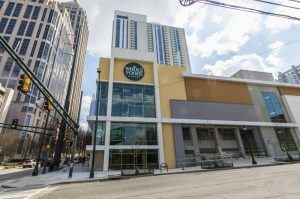 Store sizes will range from 10,000 square feet to 15,000 square feet. The smaller format stores were developed based on insights from Sears Appliances & Mattresses stores that opened in 2017 in Ft. Collins, Colo; Pharr, Texas; Honolulu; and Camp Hill, Pa.
Mattresses that members can try out from top brands, including: Tempur-Pedic®, Beautyrest, Sealy, Serta, Simmons and Stearns & Foster. Connected Home Products: a curated assortment of smart products that are relevant to members, who also will be able to learn how to set up a smart home with reliable appliances that are compatible with Alexa and Google+. A “Welcome” Service Desk: Members can meet with Home & Life experts to explore how new appliances would look in a full-scale kitchen. Artwork and photos in the stores will include images of the local community. Sears Buy Online “Search Bar” Kiosk: Members will have access to the entire Sears ecosystem of products and services offered through the in-store “Search Bar” kiosk, where they will be assisted by a Home & Life expert. Their purchases can be picked up in store or delivered to their home. In-Vehicle Pickup: Customers can shop online or in the Sears app and select in-vehicle pickup. An email is sent when the item is ready, and the customer can park in a reserved spot at the store while an associate brings out his or her order in 5 minutes or less.